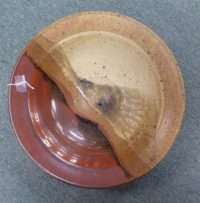 An Inlaid Box and a Pretty Hand Thrown Charger! Join Us This Weekend for Coffee and Cookies While You Shop! 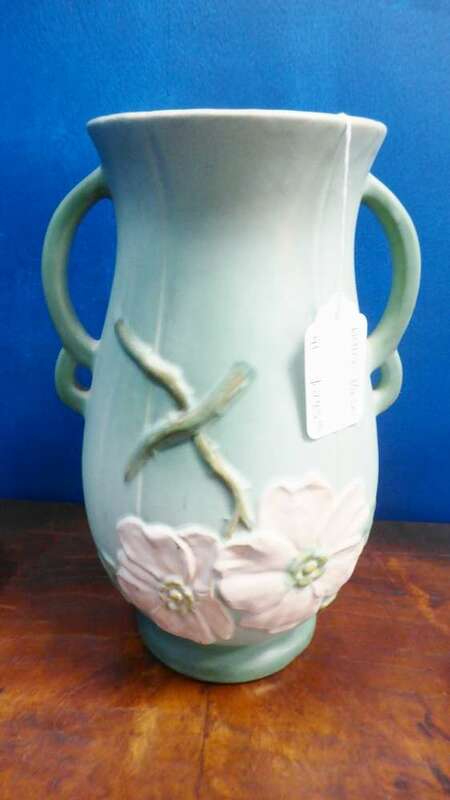 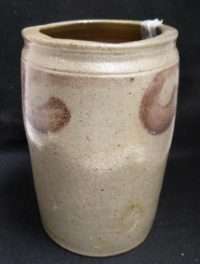 Tall Weller Vase – Booth 41, Signed – $65.00. Hand Painted Tea Pot – Booth 719, $29.00. 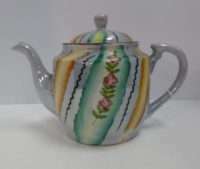 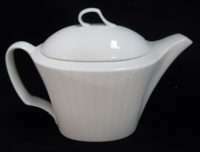 Arabia, Finland Coffee/Chocolate Pot, Booth 411 – $42.00. 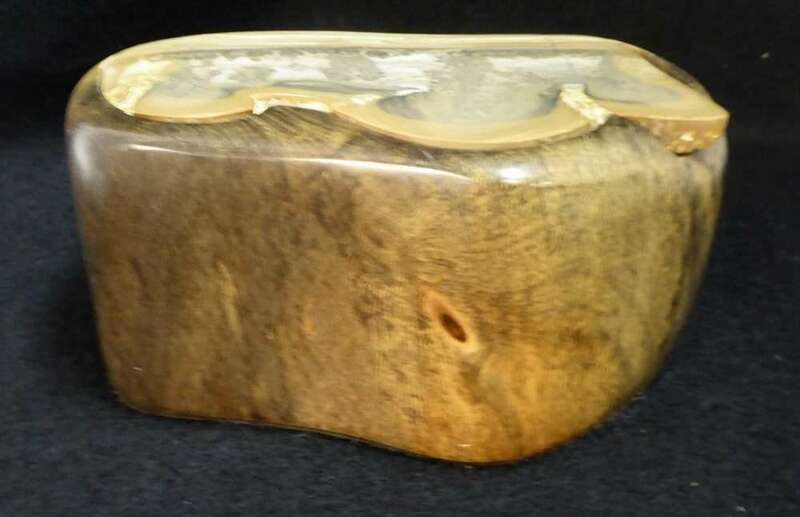 Fossilized Wooden Box w Lid – Booth 188, $195.00. 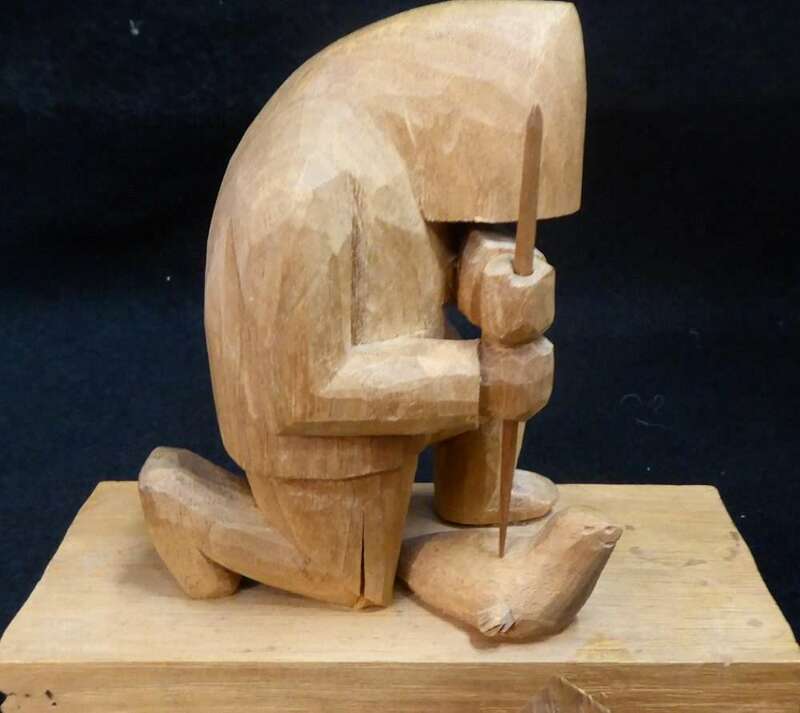 Eskimo Seal Hunter Figurine, Hand Carved, Booth 406 – $45.00. 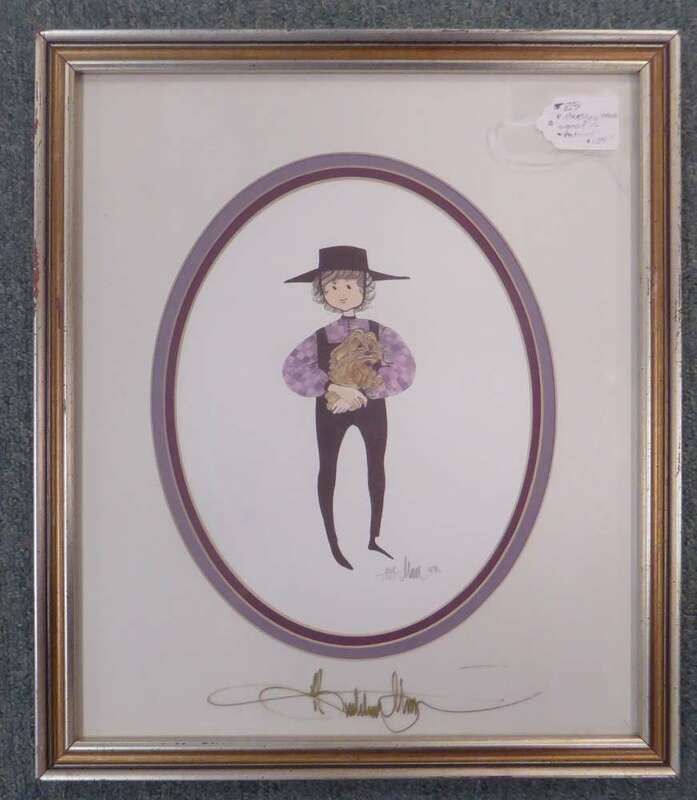 P. Buckley Moss Print, Signed/Numbered, Booth 25 – $125.00. Mellow Dough Bowl from Booth 11 – $200.00. 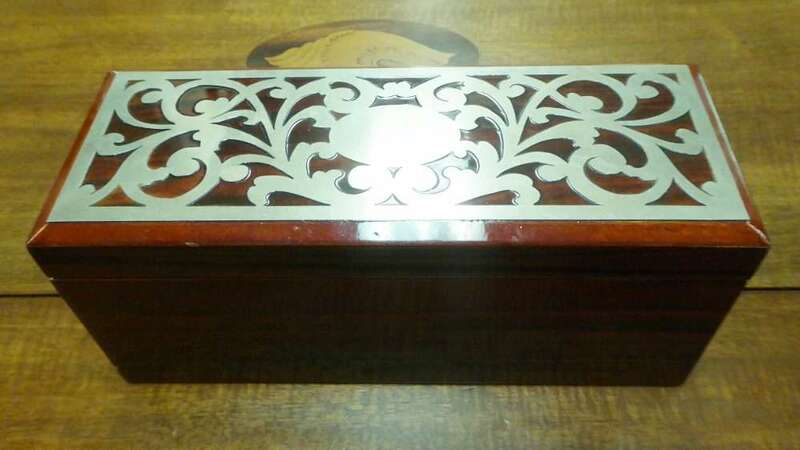 Silver Inlaid Box – Booth 88 – $40.00. Crock – Booth 913, Strasburg Salt Glaze, $235.00. 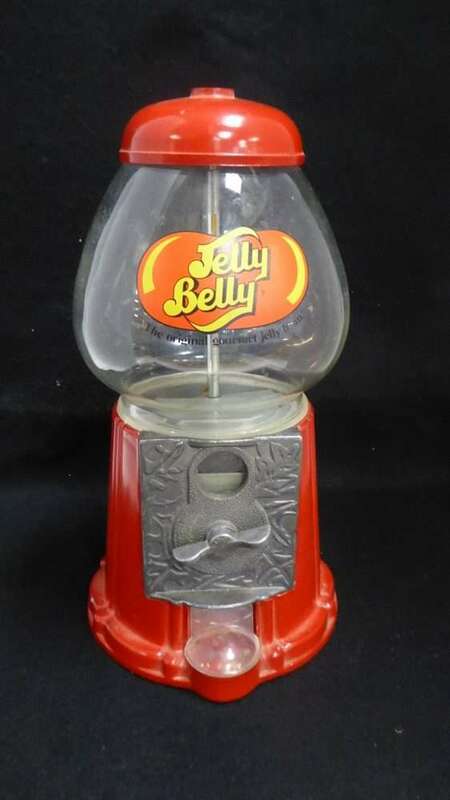 Jelly Belly Gum Ball Machine, $14.00, Booth 411. 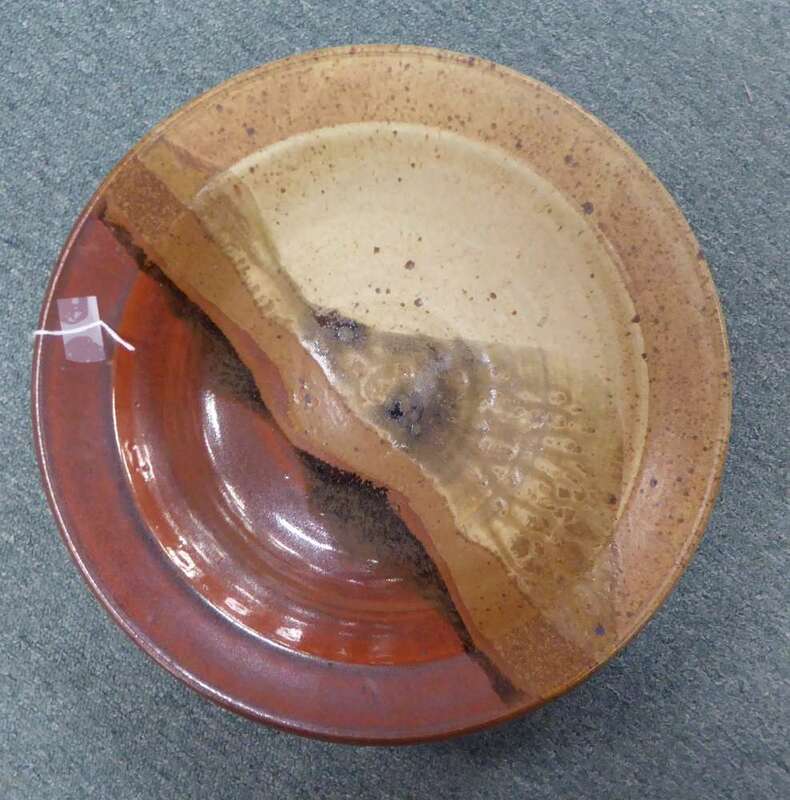 Large Hand Thrown Pottery Charger – Booth 41, $65.00. 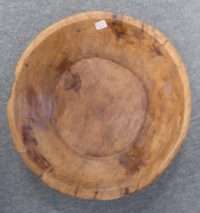 Uke, circa 1900 – 1930, Booth 411, $120.00. 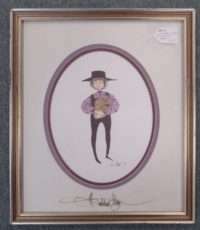 ‹ Exquisite Butler’s Chest and a Shenandoah Valley Flat Cupboard! !